Update 04/03/2016: Samsung’s SmartThings has released an updated statement. Protecting our customers’ privacy and data security is fundamental to everything we do at SmartThings. We regularly perform penetration tests of our system and engage with professional third party security experts, embracing their research so that we can continue to stay in front of any potential vulnerabilities and be industry leaders when it comes to the security of our platform. We are fully aware of the University of Michigan/Microsoft Research report and have been working with the authors of the report for the past several weeks on ways that we can continue to make the smart home more secure as the industry grows. The potential vulnerabilities disclosed in the report are primarily dependent on two scenarios – the installation of a malicious SmartApp or the failure of third party developers to follow SmartThings guidelines on how to keep their code secure. As an open platform with a growing and active developer community, SmartThings provides detailed guidelines on how to keep all code secure and determine what is a trusted source. If code is downloaded from an untrusted source, this can present a potential risk just like when a PC user installs software from an unknown third party website, there’s a risk that software may contain malicious code. Following this report, we have updated our documented best practices to provide even better security guidance to developers. With the smartphone industry seemingly hitting a plateau when it comes to innovation and perhaps more importantly excitement, internet of things (IoT) gadgets have become one of fastest expanding and most interesting areas of the tech industry. 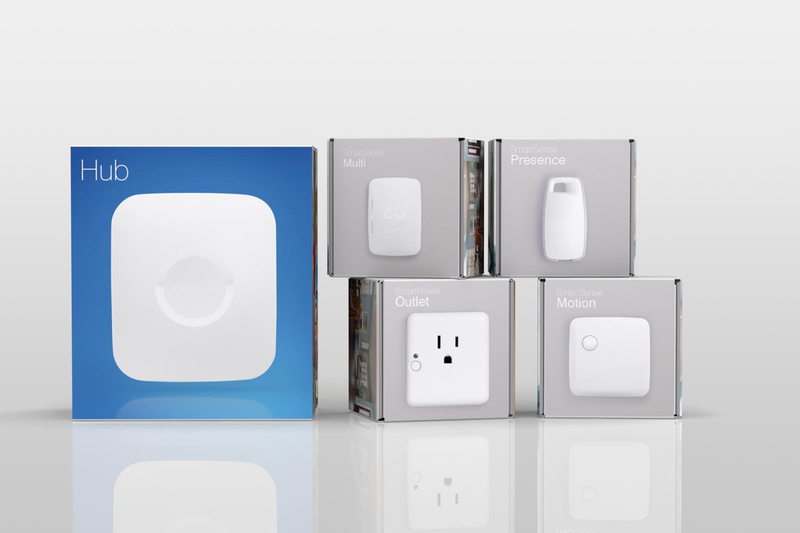 In Samsung SmartThings’ case, however, a report from University of Michigan computer science researchers indicates the South Korean smartphone manufacturer’s IoT SmartThings platform suffers from security issues that could potentially allow malicious apps to operate smart locks, change access codes and set off smoke Wi-Fi-enabled detectors, as well as a variety of other forms attacks on Samsung SmartThing’s smart device line. A malicious SmartThings app, with access to more permissions than necessary, downloaded directly from Samsung’s SmartThings store, is the source of the security issues according to the research. The problem also stems from apps being given permissions that aren’t actually required. For example, a smart lock only needs the ability to lock remotely, but SmartThings’ API links this command with a variety of others. After installation, SmartThings apps also request additional permissions, allowing them to be linked to different apps installed on the smartphone, a move the researchers say isn’t necessary because it gives the app more access than is required. Researchers demonstrated their discovery through an app that monitors the battery life of a variety of Samsung SmartThings products. After installing and granting the malicious but normal looking app permissions on the smartphone, it not only monitors battery, but also has the ability to manipulate the lock’s functionality. It does this by automatically sending out an SMS to the app’s developer each time the user reprograms the the smart lock’s pin code. A second demonstration showed off an app allowing the user to to program their own pin code through an app that locks and unlocks a browser. Research revealed that of the 499 apps part of the study, 42 percent of them have more privileges than are necessary, giving malicious developers ample opportunity to create exploits. Following this discovery, the University of Michigan researchers behind the discovery say they have reached out to Samsung’s SmartThings team with their findings. While these exploits do require user interaction, many people swiftly move through the permission section of installing an app without actually realizing what they’re giving the software access to. Researchers say that of 22 SmartThings users they surveyed, 91 percent said they would allow a battery monitoring app to check their smart lock and give the app whatever permissions it requested. However, only 14 percent said they would allow the battery app to send door access codes to a remote server. In an email to The Verge, a SmartThing representative said the following about the study.